UJSportslabs test their first play facilities in SA Play surfaces using artificial turf and a shock pad is a relatively new approach in SA. Testing these surfaces is also very new and checks in particular for Head Injury Criteria (HIC) is now required and regulated by a SASB standard. 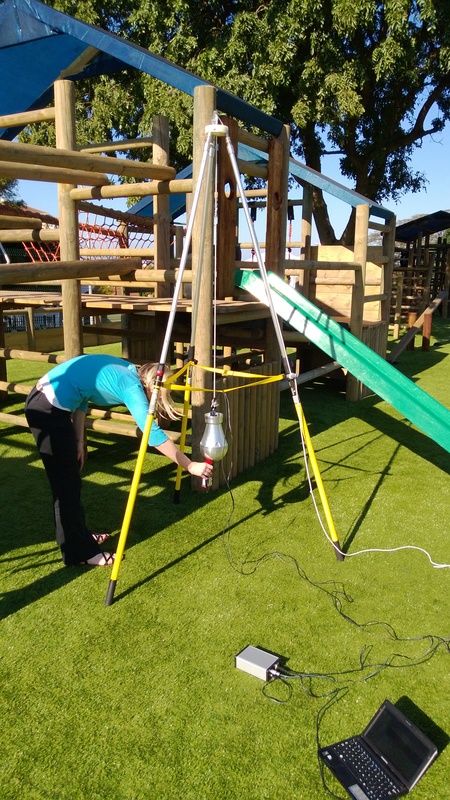 The tests were commissioned by Van Dyke Carpets and their Easigrass licence. 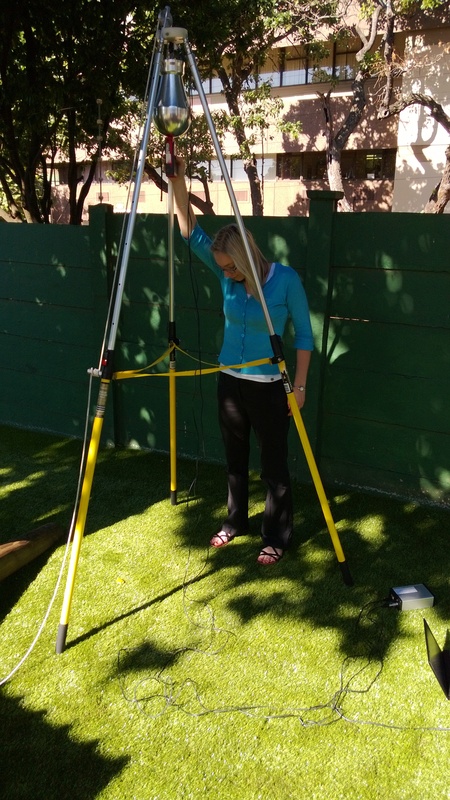 Here we have some pictures of the facility with Emma Steyn Project Manager with UJSportslabs performing these tests.